The Nightingale Mountains are a north–south trending range located along the western border of Pershing County and extending into the northeastern corner of Washoe County Nevada. 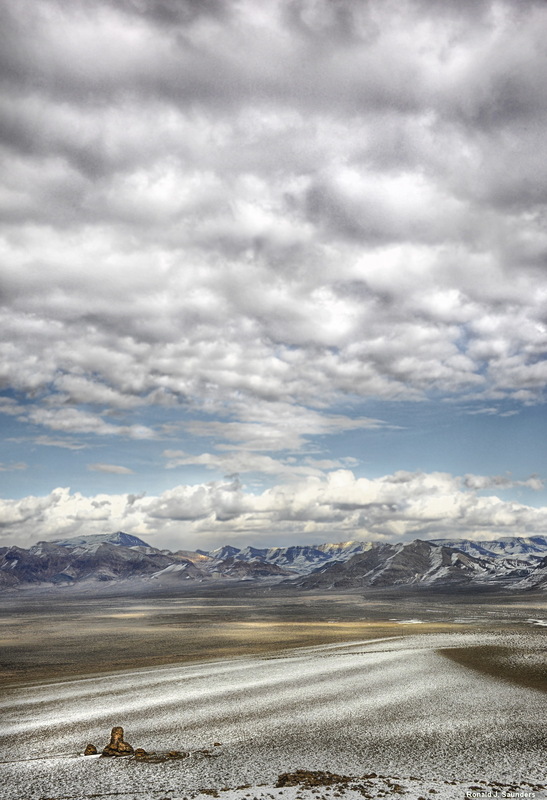 The image was taken after a snow storm left a blanket of light snow on the dry lake bed . The rock in the foreground is a tufa formed by an underwater spring in the lake thousands of years in the past.. Photo © copyright by Ronald J. Saunders.